For those that have been on the board for awhile you know me well enough that I am not a breed by numbers kind of breeder. The first thing I look at is phenotype if I like that then I look at individual performance and finally numbers. We used a yearling bull last year on a group of mature cows, needless to say if I used him I liked him phenotypically and I liked his performance. We haven’t weaned yet but about three weeks ago we pulled the calves up wormed weighed and tattooed them. 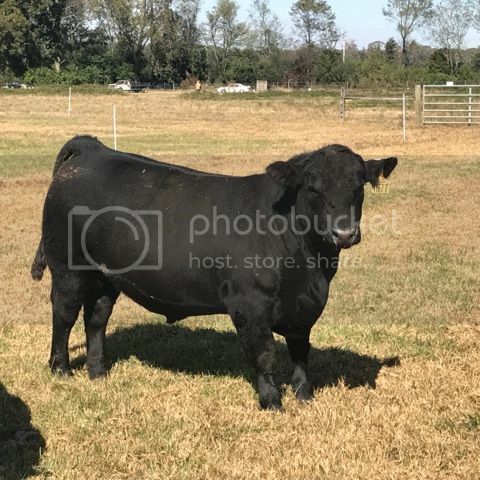 The top sire group was D45, he turned two in October and he is a stud, this year he is on a group of 52 head so working and still maintaining his condition. I have looked at him from one end to the other and can’t fault him. So as of yesterday I renamed him! 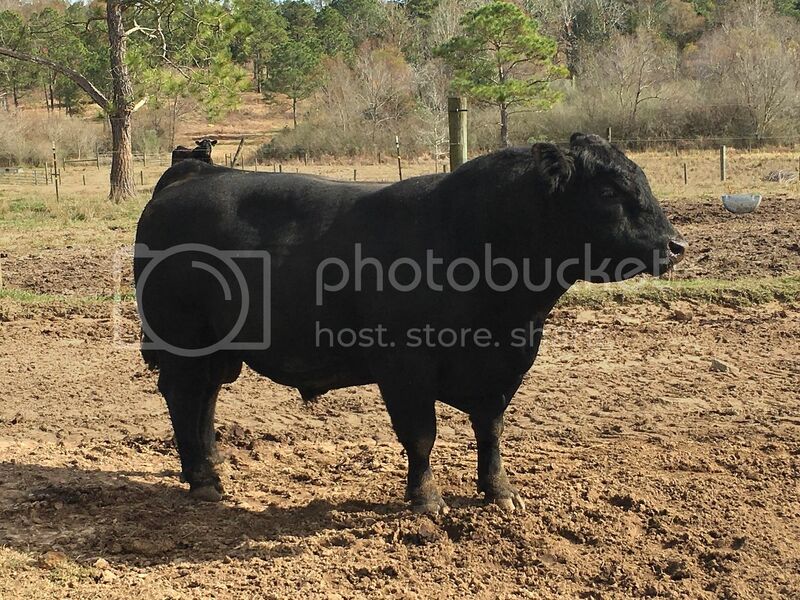 I have never had a bull that I just felt had to be renamed but this guy deserves a special handle. His new name is “D Boss”. Now for you numbers guys he has a birthweight EPD of 5.2 but I took all of his calves and got his average birth weight (keep in mind this was on mature cows) his average 75.37 so not huge weights. His milk EPD is 15 so I will be watching his daughters, however the milk EPD is the one I have the least amount of faith in. His registration number is 18807913 if you want to look at his EPD profile. I am thinking seriously of having him collected his calves are that good. What are his calves ww average? His numbers would honestly scare me but see people buy those numbers often. Interested in what his calves look like as well. Sorry, see not weaned. Just worked. 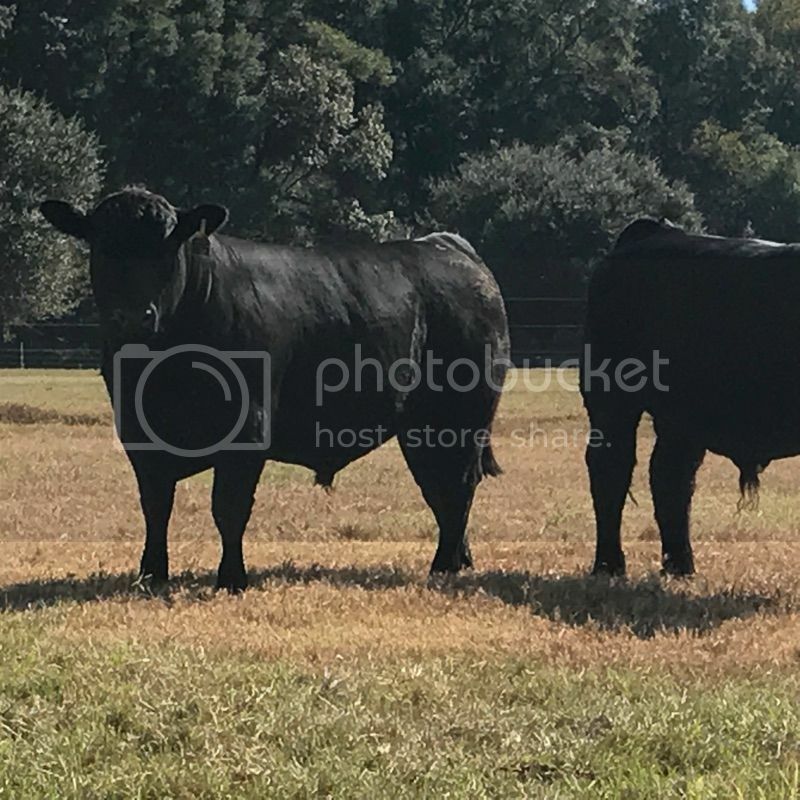 These photos were taken of him at 14 months old while he was on the Florida Bull Test. We sent him to the test with plans if he performed well we would bring him home and use him. He performed very well on test I can’t remember exactly where he finished but he did pretty good. We sampled him on the group of mature cows last year and the calves are really good. I will try to get some photos of the calves in the next week or so. And a newer photo of him. Besides bw and milk what else scares you? I am planning to hold onto all of his heifers, I want to get them bred and see for myself how they milk. I forgot about this photo taken a week or so prior to turning out so this past December. We physically weigh every calf within 12 hours of birth we prefer to weigh within a couple of hours. The boss has a boat wench set up in the calf cage we slide the belly strap around the calf hook the d-rings to the scale and the scale to the boat wench cable crank her up get the weigh do whatever need doing. Then turn him back to mamma. It is impossible to get honest results without actual measurements. I am an absolute believer in measuring performance. That's a nice looking bull. And a stout calf as well. BW wouldn't scare me on him, especially at a 75lb average. My big bull had an avg BW this year of 82.3. I have lost more light calves to the weather than big calves to dystocia in the past three years. I agree with Till-Hill regarding the fact that most commercial cattlemen don't measure bw and don't realize how many bigger calves they are having. The more calves I weigh, the more I realize I'm pretty terrible at guessing weights. I like low milk in Angus, usually means easier doing cattle and the calves gain good on creep feed. The right names and numbers are required to sell bulls, but for producing good functional cattle not so much. Nice bull. Love his heart girth. Nice sound feet too. 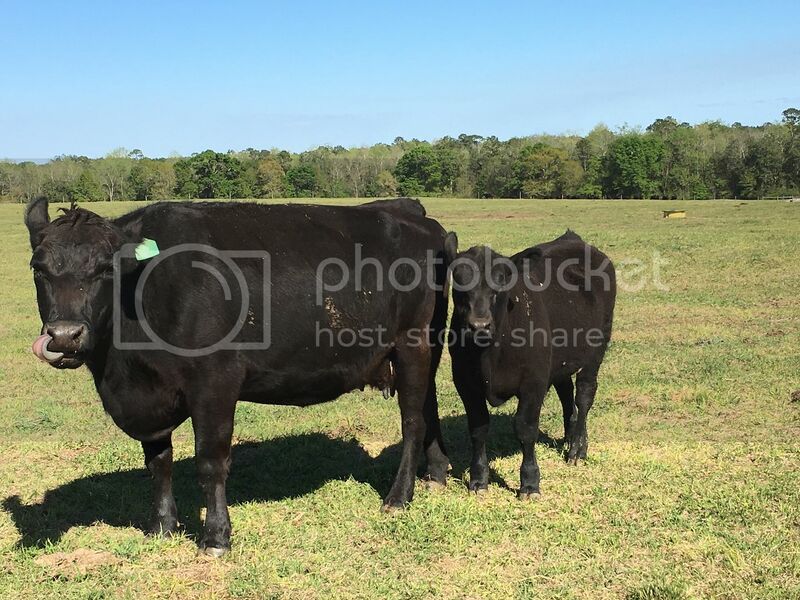 I'm not an angus breeder but i actually like my birth weights up around 85pounds. His calving. CED/CEM. Marbling for us... because that is important but won’t be for just a cow/calf operation. He’d work well on cows and he sure looks nice. Definitely a Resource son! We love our Resources. We could calve all day and night at those birthweights. Unfortunately his BW score doesn’t reflect that. With progeny, I’d go ahead and pull that DNA on them when you wean to assist with his numbers. gizmom...appreciate your philosophy and your up and coming herd bull. Impressive. His EPDs versus reality is yet anther reason why I once was faithful and no longer buy into the cool aid. Just saying. I guess I will never be a numbers person. I used Resource after seeing his pedigree, and haven't been unhappy with him. I have a lot of what I call Old genetics in our herd, 6807, Rito 707, EXT, Traveler 71, Right Time, Bon View Bando 598 I just keep trying not to mess up what we have.